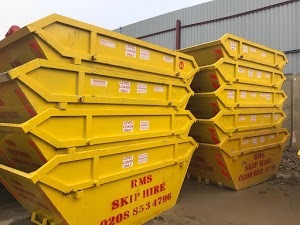 RMS Skip Hire is devoted to offering high-quality skip hire services and comprehensive waste management solution in Sidcup. We are a team of highly proficient skip hire and waste management professionals committed to making the waste disposal process utterly simple for you. Our ultimate goal is to offer the most efficient skip hire services and the best-in-class waste collection, management and processing solutions for residential, commercial and industrial projects. We take pride in having a strong reputation for understanding our clients’ requirements and offering the most inexpensive solutions to them. Our Skip Hire experts try their level best to make the waste disposal process simple for you. You can take advantage of our online booking system to hire top-notch skips for your project. It helps in saving a great deal of time and efforts. What makes us unique is our uncompromising attitude to offer the best services to each client that associates with us. Our team strives to maintain complete transparency to take your skip hire experience to the next level. It not only helps in clearing up your confusions but also allows us to create lasting business relationships. Our skip hire and waste management professionals maintain clear communication with you to solve your queries as they arise, which eventually helps us in staying ahead of the game. Our unflagging desire to keep the environment clean and safe inspires us to offer eco-friendly waste management solutions. Arranging Skip Hire permits for those who can’t keep skips on their site or land is an integral part of our services. So, whether you need skip hire solutions in Sidcup to get rid of commercial waste or residential waste, we have got you covered.